The spirits or gods of Shinto are known as kami. Yet, calling these entities 'gods' is not quite correct because kami actually includes a wide expanse of supernatural beings or forces. Kami takes on many meanings depending on the context and it doesn't just refer to the Western concept of God or gods, either. Despite the fact that Shinto is often referred to as the 'way of gods,' kami may be things found in nature such as mountains while others may be personified entities. The latter would be more in line with the conventional thinking of gods and goddesses. For this reason, Shinto is often described as a polytheistic religion. Amaterasu, for example, is a personalized and unique entity. While representing an aspect of nature – the sun – she also has a name, mythology attached to her, and is commonly depicted in an anthropomorphic form. As such, she resembles the common Western concept of a goddess. Many other kami are more nebulous in existence. They are honored as aspects of nature, but not as individuals. Streams, mountains, and other locations all have their own kami, as do events such as rain and processes such as fertility. These are better described as animistic spirits. Humans also each have their own kami that lives on after bodily death. Families commonly honor the kami of their ancestors. Family bonds are emphasized in Japanese culture and these ties do not end in death. Instead, the living and the dead are expected to continue looking after one another. In addition, larger communities may honor the kami of particularly important deceased persons. In rare instances, the kami of extremely important, living persons are honored. The concept of kami can confuse and confound even followers of Shinto. It is a constant study that even some scholars in the tradition continue to try and understand fully. It's even been said that many Japanese today have associated kami with the Western concept of an all-powerful being. In the traditional study of kami, it is understood that there are millions of kami. Not only does kami refer to beings, but the quality within beings, or the essence of existence itself. This extends to humans, nature, and natural phenomena. Kami is, in essence, one of those spiritual concepts that can be found everywhere and in everything. It is a mystical property established because there is no direct difference between the material world and spiritual existence. Many scholars choose to define kami as anything that is awe-inspiring, shows excellence, or has great influence. Kami is not entirely good, either. There is a number of kami that are recognized as evil. In Shinto, it's believed that all kami have the ability to become angry even though they more commonly protect people. They are also not entirely perfect and can make mistakes. 'Magatsuhi Kami' is known as the force which brings ill-will and negative aspects to life. Shinto - Traditional Religion of Japan and the "Way of the Gods"
What Can Bovine Colostrum Do for Your Health? What Are the Traditions and Practices of Shinto Worship? 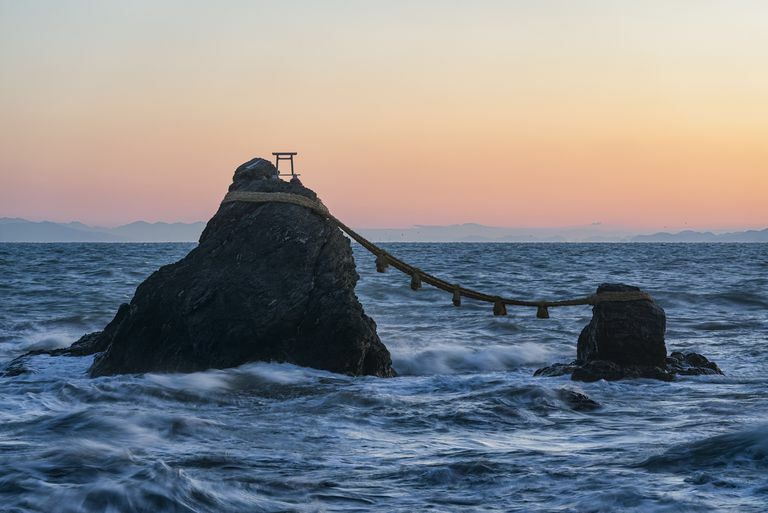 What Is a Shinto Shrine?